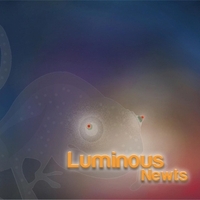 Review: "Luminous Newts: Luminous Newts" - Sea of Tranquility - The Web Destination for Progressive Music! Luminous Newts, a quirky prog-pop band from Berkeley, Calif., is obsessed with animals. Wolves, snakes, fish and a "Kommie Kitty" populate some of the dozen songs on the quintet's oddly charming, piano-centric self-titled debut CD. This band has been called everything from "Sandy Denny meets Genesis" to "a sort of progged-out Blondie." I'm not going to disagree with those descriptors, and to them I would add "buoyant nods to Toy Matinee inspired by early Billy Joel." Curious yet? Two lead vocalists and songwriters � Thea Kelly and Eric Kampmann � provide opposing lyrical and musical viewpoints. This is obvious in the diversity the subject matter, too. From the near-death experience recounted in "Up and Out" ("On the road one fine day/Turned a corner, flew away/So they tell me, I can't say/I was gone") to the playfulness of "St. Patrick and the Snakes" ("Tara's got a tattoo of a flying snake so fine/And Tim's got one in his trousers but it's no concern of mine"), Luminous Newts will keep listeners who pay attention intrigued. Kelly's dusty voice meshes memorably with Kampmann's sweet and gentle vocals, although he turns in the album's strongest singing and songwriting performance on "Waiting (A Bridge to Nowhere)." Elements of Pink Floyd, Joni Mitchell and Crosby, Stills & Nash work their way into this music, too. As for all those animal references, I don't know if they are coincidental or not. I do, however, know that each of these songs has a clear purpose � yes, even the silly "Kommie Kitty" manages to make a social statement � and Luminous Newts sounds better to me each time I hear it. That's the sign of a powerful piece of art.